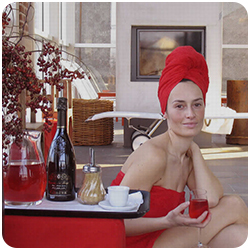 Spa packages from 1 to 3 days for the weekend unforgettable. An oasis of comfort between ancient forests and buildings timeless. In the heart of the unspoilt village of Morimondo and the center of the Ticino Park, the hotel realized reborn in 1999 thanks to the restoration of a splendid eighteenth-century farmhouse set in the shade of the Monastery Complex. 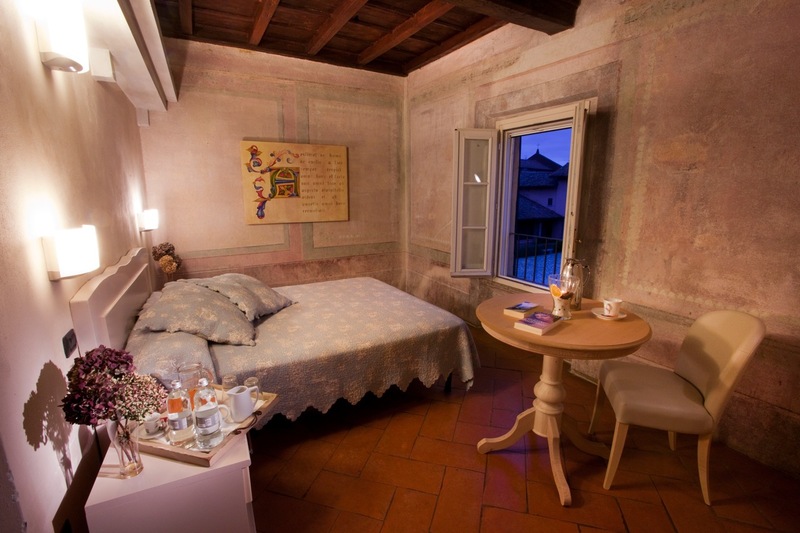 Hotel Morimondo is a real “window” with stunning views of the famous Cistercian abbey and the ancient forests of Ticino. The new management is rooted in the experience of twenty years of hospitality on Cascina Caremma which has always believed in the potential tourist west Milan. In agreement with these beliefs Morimondo Hotel aims to offer thematic stays related to culture, to nature, to spirituality, wellness and gastronomy. 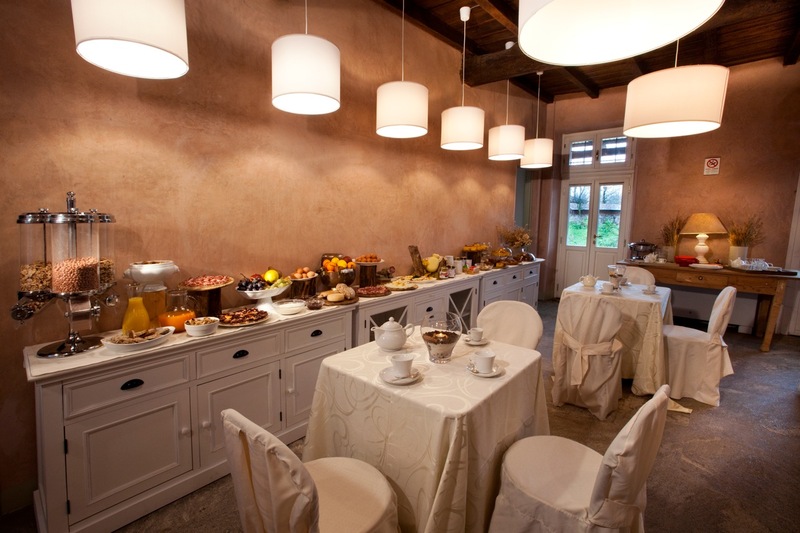 The hotel is the natural evolution of the offer of Cascina Caremma and is totally suitable for those who have to organize events, workshops, meetings, conferences. In the picturesque setting of ancient medieval halls, returning to being a place of study, to meet and work, is the perfect place for your activities. Discover the rooms, one by one. 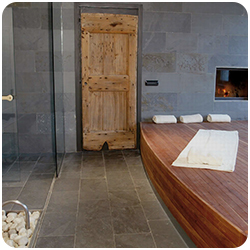 Cascina Caremma and Hotel Morimondo developed un’inziativa called Slowstage that combines the beauty of nature and its rhythms to work dell’uomo.Slowstage is a philosophy, a choice to indulge the desire for training on a human scale. 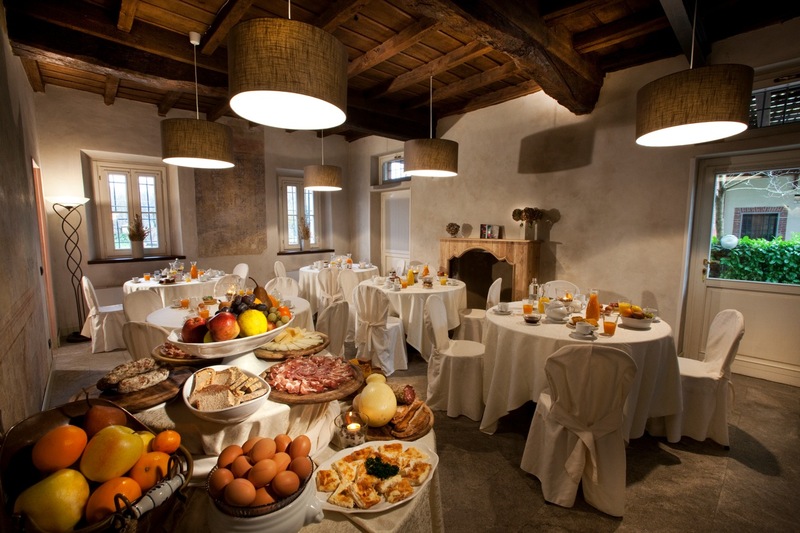 Through silent places and genuine food, Cascina Caremma and Hotel Morimondo respond to the common desire of being able to stop, think, eat well and live in the best tradition convivial. Leaving intact the charm of the salons of the era, have been set up art meeting facilities and coordinated by management dedicated and specialized in welcoming, able to recommend the best solutions MICE (Meeting, Incentive, Conference, Congress). 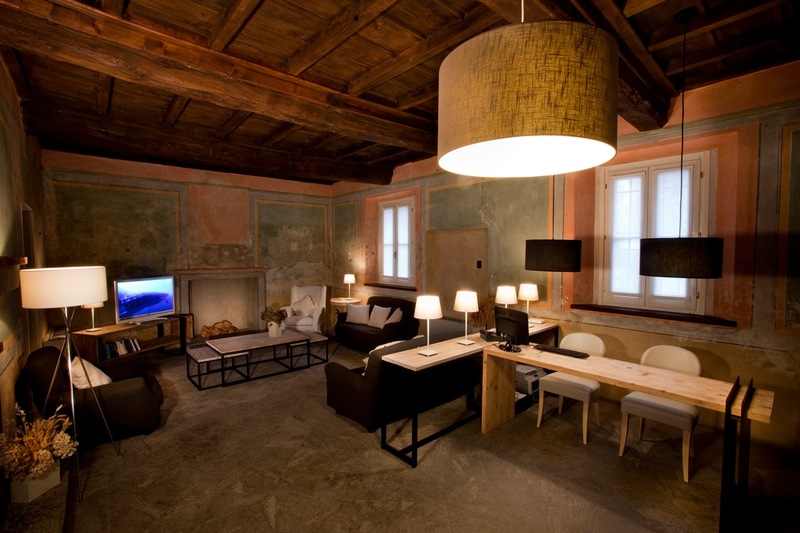 For the use of the rooms dedicated to business meetings there is a transfer service from the Hotel Morimondo and Cascina Caremma to the various rooms . You can also request to pay a transfer service to and from the main airports and railway stations. Low season includes the periods from January 7 to March 31 (except 15, 16, 17 February) and from 1 November to 5 December. High season includes the periods from December 6 to January 6, from 1 April to 31 October and from 15 February to 17 February. 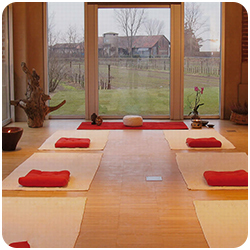 Cascina Caremma inaugurates new Wellness Treatments Natural products with organic and seasonal of their land. The idea was born as a continuation of the tradition of agriculture zero km of which, who knows our kitchen, we know how loyal! 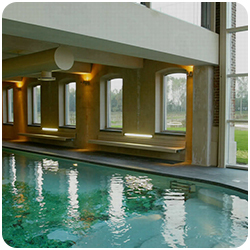 In full agreement with this philosophy, even the search for wellness blends with the surrounding area. Already five years, the SPA we use a line of cosmetic creams made with Cereals and Oils Essential products from Cascina Caremma Organically and herbs gathered in the Ticino Valley. This was possible thanks to the collaboration with CIBE LABORATORIES Ltd., Andora (SV). A company specializing in the production of eco-friendly soaps. From today we want to make Nature even more protagonist: leaves, flowers and fruits of the season become the ingredients of Scrub, masks and peeling for the body or face, just when their nutritional components are at maximum concentration. A massage really authentic, in harmony with the changing of the scents and colors of nature, valuable ally for our welfare. Hotel guests who have reserved a package Happy Hour, can apply to the reception the availability of the transfer service. An overview of the Hotel Morimondo. Among historical monuments and parks World Heritage Site. Despite being the fourth Italian foundation and the first in Lombardy (1134), the abbey church differs from all other buildings Cistercians of the twelfth century. Indeed, Morimondo is an example of Cistercian architecture already evolved into the Gothic style, it is emphasized by the use of the cross vault arched, which can also create rectangular bays. Furthermore, the magnitude of Morimondo is due to the presence of eight bays, unlike the previous abbey churches normally smaller. The Renaissance and the Baroque style, and did not alter the order of the twelfth century. The Abbey of Morimondo, begins his story October 4, 1134 with the arrival of a group of monks founders from the mother-house of Morimond, France. In the early years the community had a progressive expansion in the number of vocations, so that in a short two abbeys were founded. A remarkable sign of the intense spirituality is evidenced by the flourishing activity of the Scriptorium, aimed at the establishment of the monastic library, and the initial allocation of the basic texts of the two new subsidiaries. The “Parco del Ticino” extends along the river of the same name, on two regions: Piedmont and Lombardy. The Parco del Ticino Lombardo has an area of 91 410 hectares, of which 22,249 to 69,161 in the Natural Park and Regional Park. Includes Green Ways, 780km of cycle and pedestrian paths, of which 122km of pedestrian paths along the towpaths of canals. The river Ticino has always been a natural border between civilizations, nations, peoples, rulers, who have plenty of fortified this strategic area especially with watchtowers and castles. In Vigevano, in “Casinasa”, were found remains of the Mesolithic (5500-4500 BC), while in burials in Garlasco were found objects of the Copper. Evidence of settlements, the Mesolithic Age to the Roman centurions, are collected in the various interesting museums set up by some member municipalities: in Gallarate, Gambolò, Sesto Calende, Watford, Vigevano and Varallo Pombia. Complete the form below to join our newsletter and stay updated on events and news of Hotel Morimondo. Do you want contact us to book or for more information ? Call us at 0039 02 94 60 90 67 or fill out the form below.